Announcement Thanks for visiting Aquarian Bath's Etsy shop. All soaps and shampoo bars are palm oil free, SLS free, chemical fragrance free, dye free and not tested on animals. Please ask if you have any questions, and Cory will get back to you as soon as possible. Please discontinue use of any item that you think might be causing you irritation or allergic reaction. I use nut oils in many items, e.g. coconut. My items are not certified gluten free. Thanks for visiting Aquarian Bath's Etsy shop. All soaps and shampoo bars are palm oil free, SLS free, chemical fragrance free, dye free and not tested on animals. Cleans teeth really well. Love that the cinnamon is not overbearing, that way everyone in the family can use it. Bought as a gift. I am very excited to give. They are a good size bar. Love the scent. Love this deodorant. In my opinion it works better than any other I have used. Awesome quality, as always, gentle soap bar that smells terrific, super fast shipping, and the possibility to buy them without additional, extraneous packaging. Always recommended! We now have Organic Ivory Shea in tins. It is Grade A and unrefined. This is a denser material compared to the yellow Shea that we previously sold in these containers. So you will receive 4.25 oz rather than 4 oz by weight. Just ran out of Lavender oatmeal soap samples. We have Patchouli soap samples curing right now. They will be ready in a couple weeks. Untill then, we still have our popular full sized bars in stock. We switched to Organic Ivory Shea from Yellow shea, because our supplier started using excessive plastic packaging to pack the yellow Shea. It will take some time to get our labels updated. Product pages will be updated as new batches are ready to ship. We love gardening and grow many herbs for our products including Calendula flowers, Aloe, Plantago, Yarrow, & Comfrey. 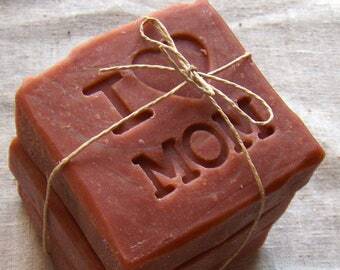 We hand cut & stamp our soaps. Scott the inventor designed this unique soap cutter which has lasted 5 years. Organic cotton or hemp pillow sleeves are pre-sewn so that we can ship your order out quickly when it comes in. We use USDA Organic herbs and Organic Flax to fill our Microwavable Neck Pillows, Eye Pillows, and flat heating mats. Aquarian Bath sponsors or hosts beach clean up during Plastic Free July and International Coastal Clean Up Day. Aquarian Bath Inc is an herbalist owned small business. Natural ingredients always come first. Whether growing our own herbs organically or purchasing certified Organic herbs, we are very particular with these ingredients checking ingredients for proper color and taste. Our products have always been chemical fragrance free and dye free. Most soaps are scented with pure essential oils, which are a higher quality and more expensive natural ingredient with aromatherapy benefits. Aquarian Bath soaps have also always been Palm Oil free or Orangutan friendly. The majority of my soaps and shampoo bars are now vegan. Products do not contain GMOs or SLS. Aquarian Bath is a work in progress as we continually work toward reducing our ecological foot print in terms of energy and material consumption and choosing the most eco friendly ingredients. For this reason you will find the majority of items are shipping with no packaging (naked soaps) by default, or limited packaging, and avoiding plastic as much as possible. Kraft boxes are available separately with labels for gift giving with soaps. We hope you like what you find and please feel welcome to contact us if you have any questions or suggestions. My background is in Cell and Molecular Biology study at the University of Washington followed by Masters study at a Traditional Chinese Medicine Institute. I am an organic gardener, herbalist, swimmer, homeschooler, and clothing upcycler. Find AquarianBath at the following upcoming markets! Earth Day fest with local vendors, demonstrations, open mic, free beverages when you bring your own cup. Unique products and services from vendors to broaden your posibilities! Flax seed pillows are made to order based on the scent of your choice and are considered custom items. Whenever possible I use recycled or recyclable materials for shipping, for example I pack in shredded office paper and newspaper. I use paper tape. I never use non-biodegradable packing peanuts. Re-using is part of my mode of operation in lightening my ecological footprint. If you require a new box and packing paper for a gift shipment, please let me know in your comments at check out. I will be happy to ship in a new box. If there is a clear bag included with a promo in your package, it is biodegradable cellophane, not plastic. When are packages considered lost or missing? US packages are considered lost if not delivered after 20 days from the package pick up date. International packages are considered lost if not delivered after 45 days from the package pick up date. Buyers must alert us within 57 days if a package does not arrive so that we have the opportunity to make a timely replacement and file an insurance claim if applicable. We will not refund 'lost' packages that are reported to us after 57 days. Returns will be accepted on unused, undamaged items less a 20% restocking fee. We do no test our products on animals. Are all of your soaps made with lye or Sodium Hydroxide? Can you make an all natural soap with out these chemicals? Do you ship with plastic packaging or promotional materials? Do you soaps contain Fragrance oils, SLS, Synthetics, Dye or Palm oil? How much is the import duty fee?